For artist Cindy O’Hare of Florissant, Missouri, scanning the forest floor is like searching for the perfect color to add to a blank canvas. Her artwork is composed entirely of sticks, flowers and other earthly odds and ends. It’s a medium that’s rooted in her love of her family, friends and the beauty that lives and grows around her. A sample of her work is now on display at the North County Transit Center in Ferguson. 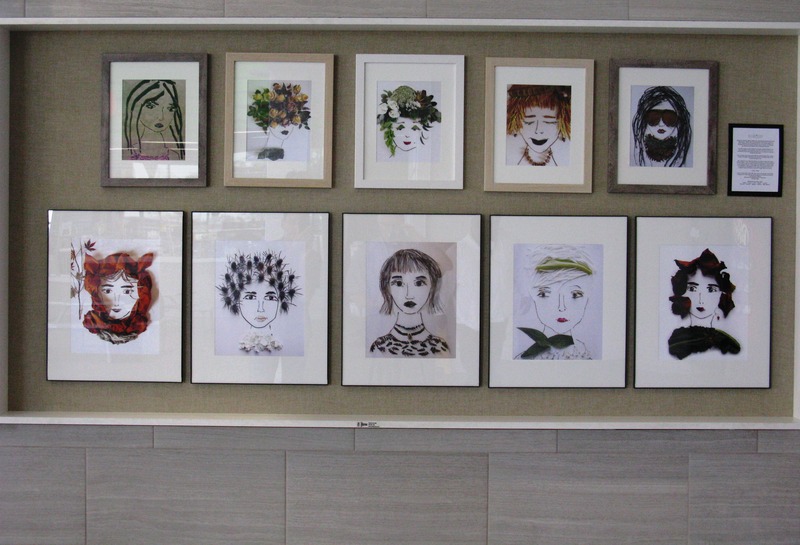 Her pieces will be on display in the transit center’s art gallery until the end of the year. In October 2015, O’Hare went on a nature walk with her granddaughter for a school art project. When they returned home, they spread their findings on the table. As the granddaughter napped, O’Hare started to tinker with the twigs. The once scattered form of nature now resembled a portrait of her father. Her creation sparked a passion and her own business — Bee in the Bucket. “I don’t have an art background, but I realized I could do portraits of people I knew,” she said. For riders at the North County Transit Center, O’Hare hopes her art can make an impact.